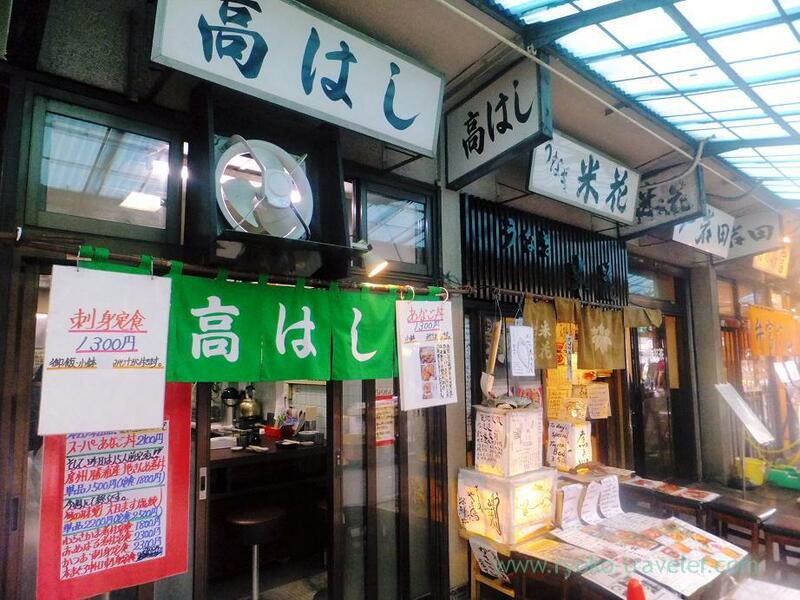 Now Takahashi opens from 7 a.m.
To my glad, Takahashi inside Tsukiji Market opens earlier than ever. So, I can eat at Takahashi on workdays morning. And more, there were some vacant seats when I arrived at there. When Takahashi opened late before, some people was already waiting in front of Takahashi before opening time. We ordered some dishes, and those dishes soon came. 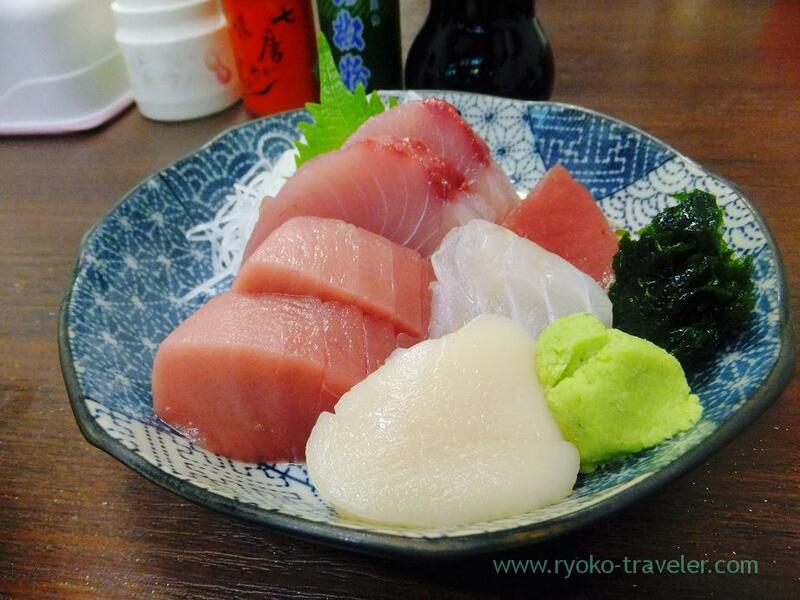 Lean meat of tuna, chu-toro, flatfish, middle-sized Japanese amberjack and scallop. Those slices of sashimi was thick ! And good looking ! Sashimi set had rice, miso soup, pickled vegetables and boiled vegetables. 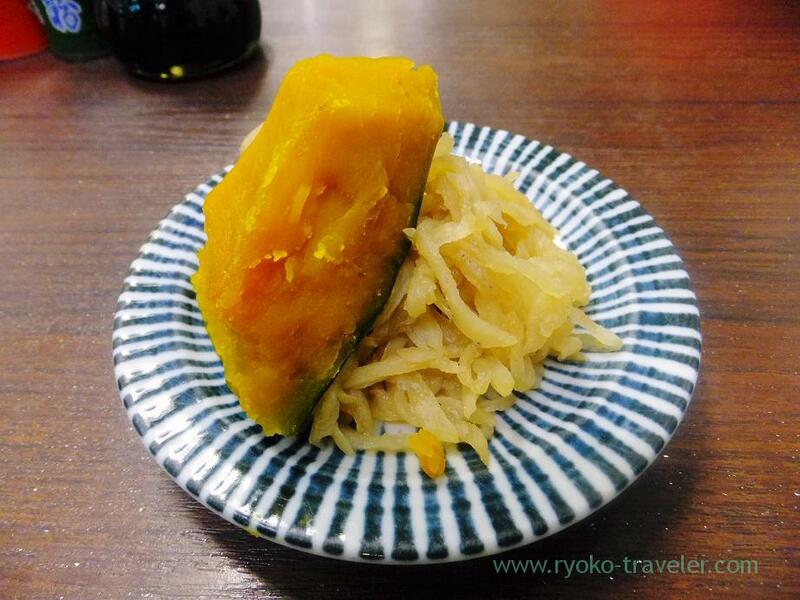 Pumpkin and thinly sliced and dried strips of radish. I don’t like thinly sliced and dried strips of radish, but it do me good, so I ate up 🙂 Boiled pumpkin was good. Those were boiled in soy sauce and sugar. 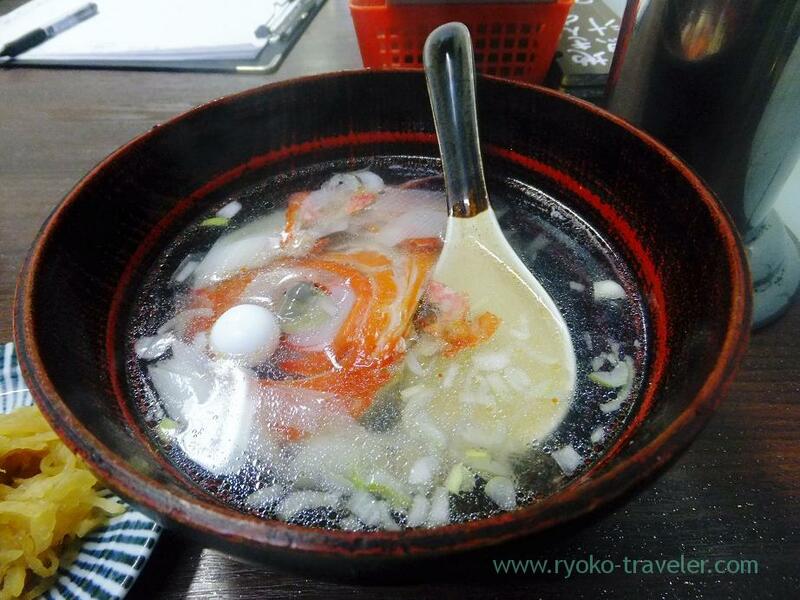 I said the sashimi set had miso soup, but I made them change from miso soup to fish clear soup. The soup was soooo tasty. It had much taste of splendid alfonsino. But I don’t good at eating head. The soup was sold out soon. 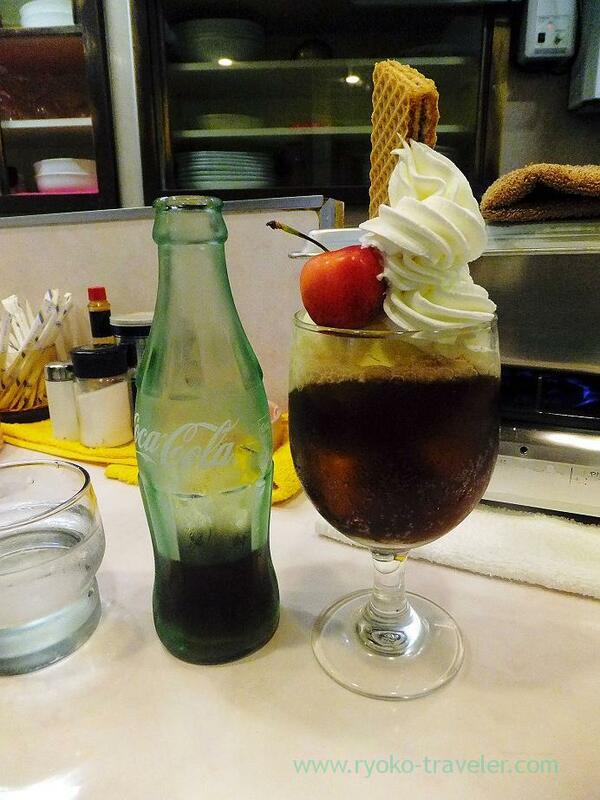 After that, I enjoyed coke float(コーラフロート, 480 yen) at Four season as usual. This coke float was unusual. Cherry on whipped cream. Wow. You eat amazing food nearly every day, don’t you? 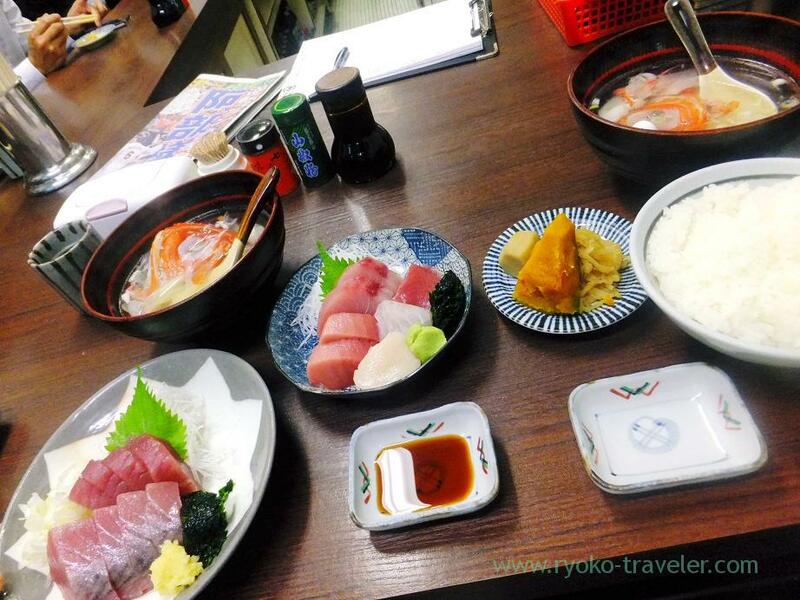 I remember when I was in Japan I had great food everyday also. Also, are you a native Japanese person? You responded to my last comment saying that you can’t understand and write in difficult English. I actually thought you were an American when I was reading your blog posts. Your English is very good! Sure, I’m native Japanese. I am very happy that you say so. 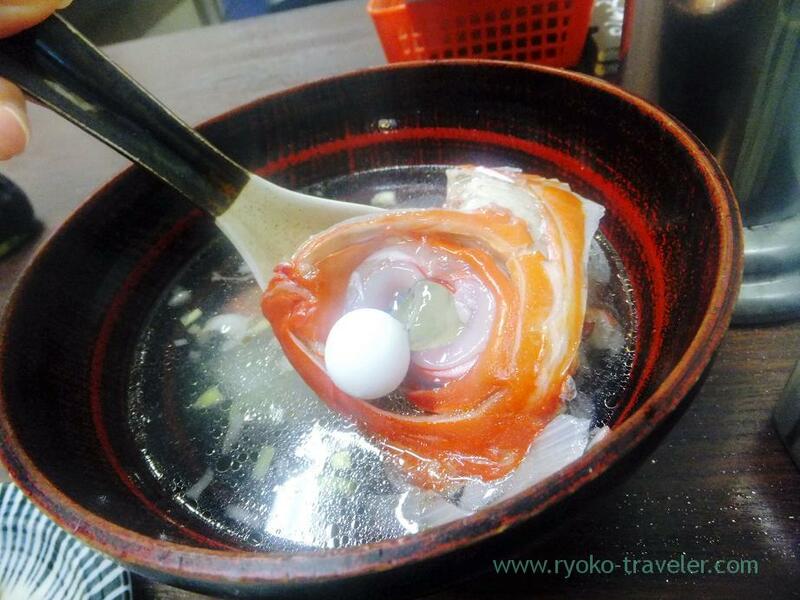 Especially Tokyo have lots of good restaurants. 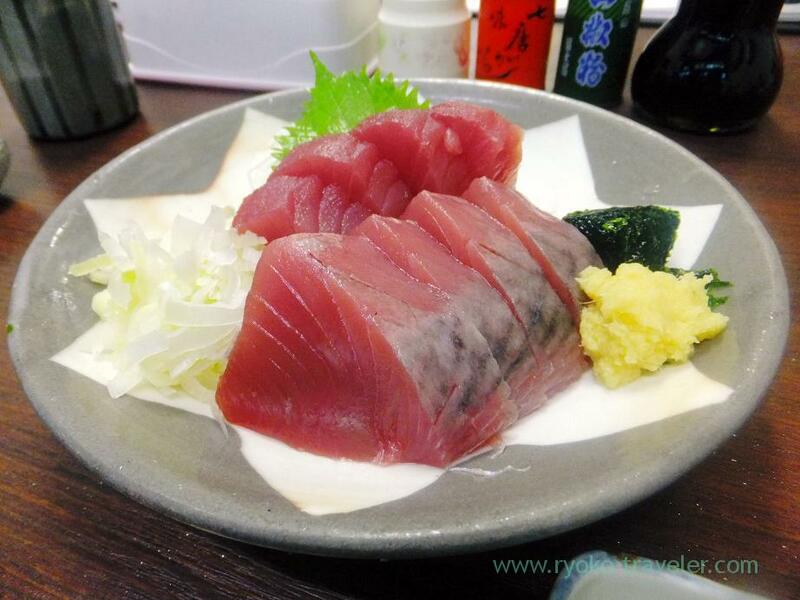 I’ve been to Tsukiji but never Takahashi.